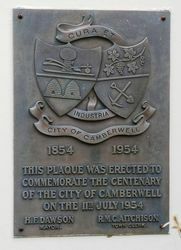 A plaque commemorates the centenary of the City of Camberwell. 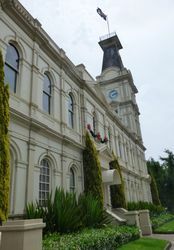 Camberwell began its local government career as the Boroondara Road District on 11 July 1854. An area of 23.75 aquare miles comprised the districts of Camberwell, Hawthorn and Kew. 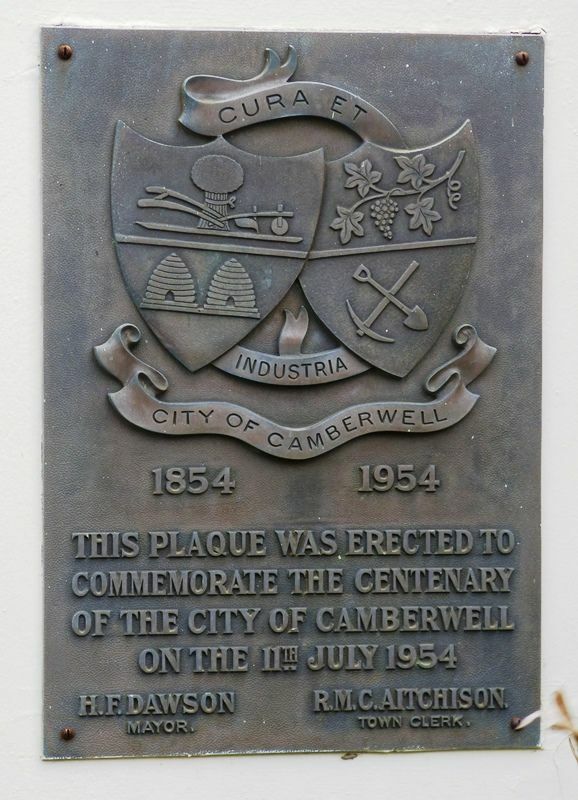 In 1890 Camberwell had 1200 buildings and 4416 people. Towards the end of 1952, there were 25667 buildings and a residential population of 98391. The 'Progress Press' of 14 July 1954 reported Camberwell's area of 14 square miles made it the third largest metropolitan area and the wealthiest council outside the City of Melbourne. On The 11th July 1954.